We had some friends visiting last weekend and I wanted to bake something in advance for us to have as dessert so I wouldn’t spend the whole time in the kitchen. I was pretty busy finishing off the advent calendar I was making so I turned to this old favourite recipe of mine which I have made so many times I don’t need my recipe notebook! 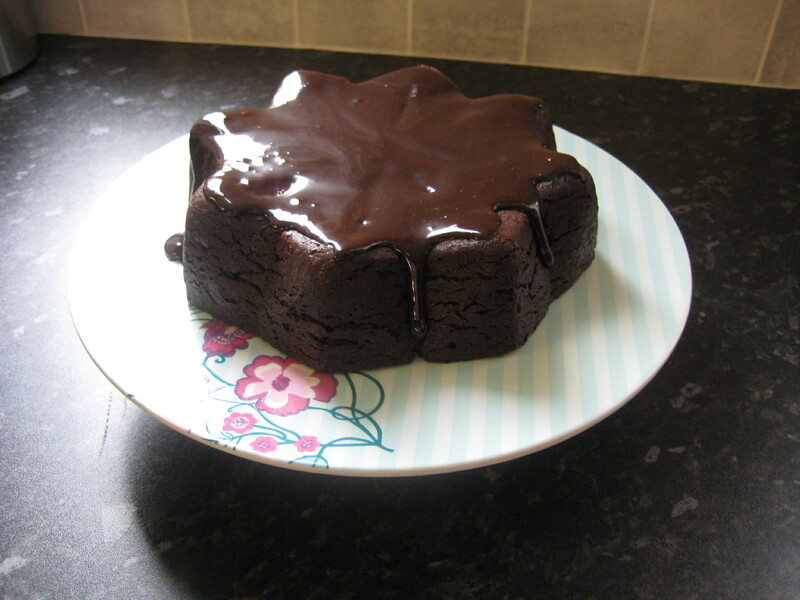 I first made this cake over a decade ago and I have tweaked it over the years to make it extra chocolatey. It is a dense, moist cake which is lovely with cream and raspberries. It is pretty quick to make too! 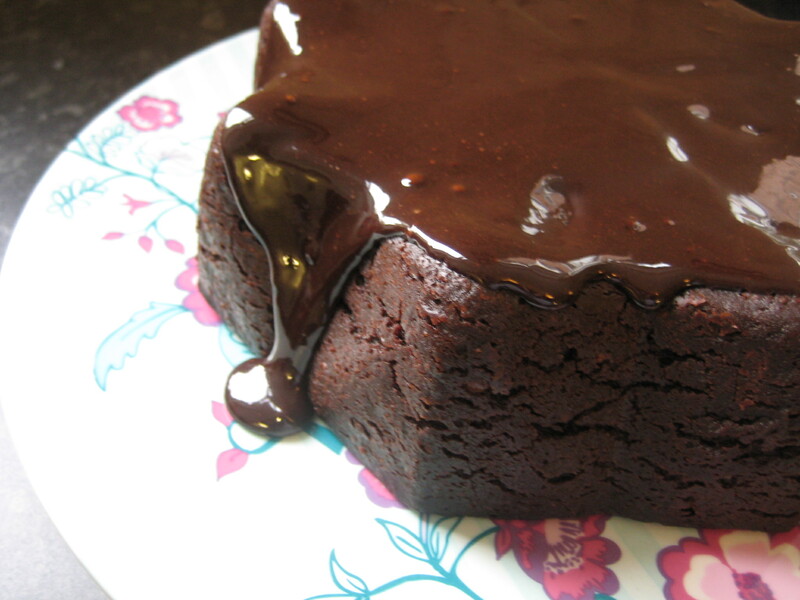 Preheat the oven to 180° C. Put the chocolate, coffee, brandy, vanilla extract, sugar, and butter into a large pan. Stir over a low heat until everything is melted and dissolved and smells lovely. Then turn the heat off and stir in the flour, cocoa, baking powder, and salt. This will look pretty lumpy- use a whisk to make it smooth but don’t worry about it being perfectly lump free. It should be a bit cooler by now, so it is safe to add in the beaten eggs without scrambling them- mix well. 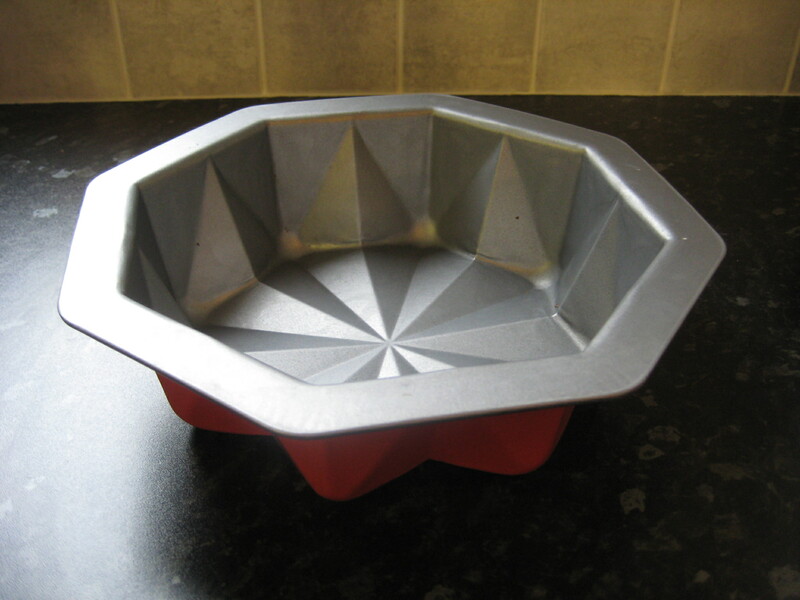 Fancy cake tin – from Ikea! Pour the batter into an 8inch round greased tin (lining the top is a good idea but if you have a special shaped tin like me then it seems to turn out ok if you grease really well). Bake for around 50mins. Test it in the middle with a skewer- it doesn’t have to come out perfectly clean, just not runny as it will keep cooking as it cools down. Cool in the tin and turn out onto your serving plate. You can ice it however you like but I usually do a lazy icing which shows the shape of the top of my fancy cake. 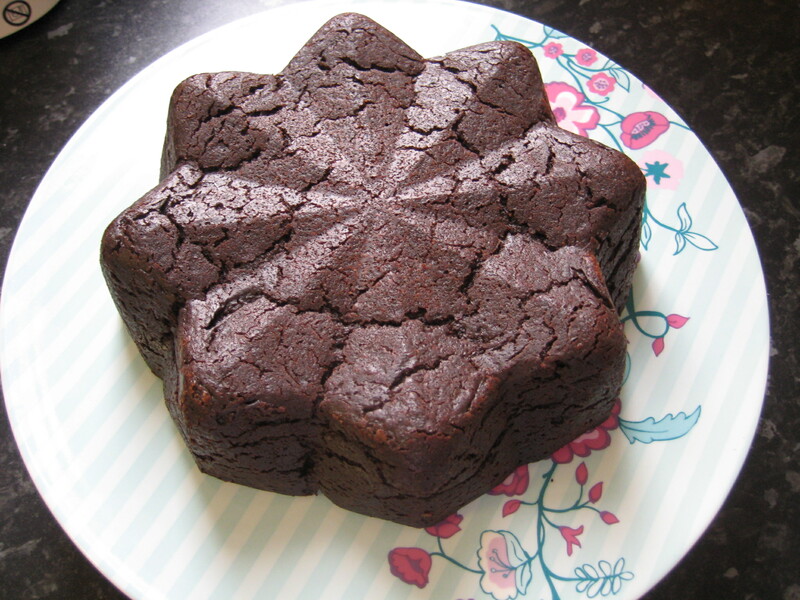 Melt 3 tbsp of golden syrup in the microwave for 20seconds and stir in 2 tbsp cocoa powder, and just pour it over the top so it runs down the sides and looks really sticky. I made this yesterday, in a heart-shaped tin, for my husband’s Valentine’s Day present, and it’s amazing! Obviously I am having to help him eat it – marriage is all about sharing, right?